The order dated 13.09.2013 of the disciplinary committee only to the extent of imposing sanction of life time ban is set aside. The disciplinary committee of the BCCI may reconsider the quantum of punishment/sanction which may be imposed on the appellant as per Article 6 of the Anti-Corruption Code. The appellant may be given one opportunity to have his say on the question of quantum of punishment/sanction. Disciplinary Inquiry - The standard of proof in a disciplinary inquiry and in a trial of a criminal case are entirely different. In a criminal case it is essential to prove a charge beyond all reasonable doubt wherein in disciplinary inquiry under Anti-Corruption Code of BCCI the preponderance of probability is to serve the purpose. Sports Law - The sports occupy a prominent place in life of a man/woman and also in the life of a nation. It not only gives physical or moral strength to a personality but spread the message of goodwill and friendship. In the 21st Century the countries have come closer and nearer to each other and sports have become a medium of bonds. Sports Law - Cricket, it is said, is a synonym for gentlemanliness which means discipline, fair play, modest and high standard of morality. The ever increasing interest in the game of Cricket in our country has raised issues of its regulation, control and management. In our country the Board of Control for Cricket in India (BCCI), a registered Society under the Societies Registration Act, 1860, exercises sufficient control on all aspects of game of Cricket and has framed various Code of Conduct for all who are associated with it. The present is an appeal filed by an acclaimed cricketer of India against whom proceedings were drawn by BCCI and a life ban was imposed on the appellant by the BCCI which was unsuccessfully challenged before the Kerala High Court and aggrieved by the Division 4 Bench judgment of the High Court the appellant has filed this appeal. Petitioner's Advocate : Krishnamohan K.
Service Law - It was for the employee to know the rule. The department was not expected to advise and/or tell the employee about how the seniority will be fixed and/or about the rota­quota rule. The Indian Penal Code, 1860 - Section 302 read with Section 34 - Murder - Life Imprisonment - Scope of Exception 4 to Section 300 IPC - Whether the accused has made out a case for modification of his conviction under Section 304 Part II IPC instead of Section 302 IPC ? In order to bring the case within Exception 4 to Section 300 IPC, the following conditions enumerated therein must be satisfied:- (i) The act must be committed without premeditation in a sudden fight in the heat of passion; (ii) upon a sudden quarrel; (iii) without the offender’s having taken undue advantage; and (iv) the accused had not acted in a cruel or unusual manner. Even if the fight is unpremeditated and sudden, if the weapon or manner of retaliation is disproportionate to the offence and if the accused had taken the undue advantage of the deceased, the accused cannot be protected under Exception 4 to Section 300 IPC. The deceased abused the appellant who got annoyed and first attacked Lakhichand and on seeing this, Gopichand gave a stick blow on the head of the appellant and thereafter, the appellant went to his house situated next door and came back with a gupti. Inflicting injury on the deceased is part of the same incident and cannot be said to be a different part to hold that the act was premeditated and intentional. As rightly contended by learned counsel for the appellant, the incident was in a sudden quarrel and there was no premeditation. One of the conditions of Exception 4 is that the offender ought not to have taken the “undue advantage” or acted in a cruel or unusual manner. The appellant inflicted a single blow injury with gupti on the left armpit which pierced through the upper end of the left arm and then entered the chest causing fracture of fourth rib and reached till the lung causing rupture of left lung vasculature. Though, the gupti was a dangerous weapon, the appellant-accused caused a single injury which pierced into the lung. Having sustained a stick blow from Gopichand-PW-1, in the sudden quarrel and in the heat of passion, the appellant inflicted the injury on deceased Lakhichand. Considering the facts and circumstances of the case, in our view, the case falls within Exception 4 to Section 300 IPC. The conviction of the appellant-accused under Section 302 IPC is liable to be modified as Section 304 Part II IPC. Service Law - Pension - It would be inadvisable to expand such beneficial schemes beyond their contours to extend them to employees for whom they were not meant for by the Legislature. The Life Insurance Corporation of India (Employees) Pension Rules, 1995 - the definition of ‘retirement’ envisages two eventualities – first a person who had retired in terms of the Staff Regulations; and secondly, a voluntary retirement under the provisions of the Pension Rules themselves. The Life Insurance Corporation of India (Employees) Pension Rules, 1995 - Rule 23 - Forfeiture of Service - Resignation entails forfeiture of the entire past service and consequently would not qualify for pensionary benefits. The Life Insurance Corporation of India (Employees) Pension Rules, 1995 - Rule 31 - ‘Pension on voluntary retirement’ - which is admissible on completion of 20 years of qualifying service, with a notice of not less than 90 days in writing. Interpretation of Statutes - Statutory provisions must be given their clear meaning unless there is ambiguity in the wordings. 6. Sadanand Puthran v. United India Insurance Co. Ltd.
7. Meg Raj (dead) Through Lrs. v. Manphool (dead) Thr. Lrs. The Civil Procedure Code, 1908 - Section 9 - The Haryana Ceiling on Land Holdings Act, 1972 - Section 26 - Bar of Jurisdiction - Section 26 (b) of the Act clearly bars filing of civil suit to examine the legality of the order passed by the Prescribed Authority under the Act. In other words, the Civil Court’s jurisdiction is expressly taken away by Section 26(b) of the Act from examining the legality of orders passed under the Act. The remedy of the plaintiffs in such case lies in filing appeal/revision under Section 18 of the Act against the order of the Prescribed Authority. The Code of Criminal Procedure, 1973 - Section 482 - The Indian Penal Code, 1860 - Sections 143, 147, 148, 323, 392, 395 and 397 - Quashing of FIR - The High Court instead of quashing the FIR at such a preliminary stage should have directed the IO to make proper investigation on the basis of the FIR and then file proper charge sheet on the basis of the material collected in the investigation accordingly. It was, however, not done. It was more so because, the FIR did disclose prima facie allegations of commission of concerned offences. The Negotiable Instruments Act, 1881 - Sections 118 and 138 - In the scheme of the NI Act, mere creation of doubt is not sufficient. The Negotiable Instruments Act, 1881 - Sections 118 and 138 - Basic ingredients for drawing of presumption. For determination of the point as to whether the High Court was justified in reversing the judgment and orders of the Trial Court and convicting the accused for the offence under Section 138 of the NI Act, the basic questions to be addressed to are two-fold: as to whether the complainant had established the ingredients of Sections 118 and 139 of the NI Act, so as to justify drawing of the presumption envisaged therein; and if so, as to whether the accused-appellant had been able to displace such presumption and to establish a probable defence whereby, the onus would again shift to the complainant? The Negotiable Instruments Act, 1881 - Sections 118 and 138 - Preponderance of probabilities. On the aspects relating to preponderance of probabilities, the accused has to bring on record such facts and such circumstances which may lead the Court to conclude either that the consideration did not exist or that its nonexistence was so probable that a prudent man would, under the circumstances of the case, act upon the plea that the consideration did not exist. This Court has, time and again, emphasized that though there may not be sufficient negative evidence which could be brought on record by the accused to discharge his burden, yet mere denial would not fulfil the requirements of rebuttal as envisaged under Section 118 and 139 of the NI Act. The Negotiable Instruments Act, 1881 - Sections 118 and 138 - The aspect relevant for consideration had been as to whether the accused has brought on record such facts / material / circumstances which could be of a reasonably probable defence. The Indian Penal Code, 1860 - Sections 302, 307, 341, 34 - The Arms Act, 1959 - Sections 25, 54 and 59. 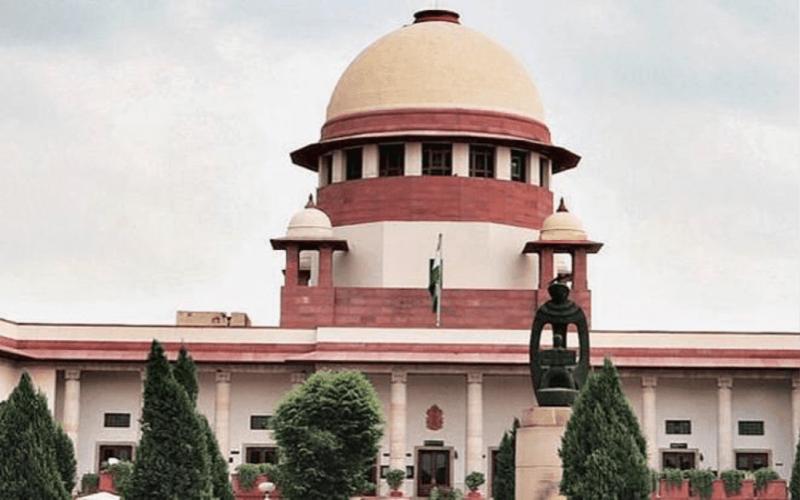 Constitution of India - Article 226 - It is not the function of the Courts to frame any Scheme but it is the sole prerogative of the Government to do it. The Indian Penal Code, 1860 - Sections 323, 324, 452, 504 and 506 - Revision - The least that was expected of was that the High Court will apply its judicial mind to the factual and legal aspects arising in the case and then pass appropriate orders either for upholding the conviction or acquitting the appellants, as the case may be. We find that the High Court failed to do this and hence interference is called for. 14. Principal Commissioner of Income Tax 8 v. M/s Yes Bank Ltd. The Income Tax Act, 1961 - Section 35­D - Whether the Bank is an industrial undertaking so as to entitle them to claim deduction under Section 35­D of the Act. The main issue involved in this appeal was with regard to the applicability of Section 35­D of the Act to the Bank. It was, however, not decided. The High Court should have framed the substantial question of law on the applicability of Section 35­D of the Act in addition to other questions and then should have answered them in accordance with law rather than to leave the question(s) undecided. It was brought to our notice that the issue with regard to applicability of Section 35­D of the Act to the Bank is already pending consideration before the High Court at the instance of the respondent in one appeal. If that be so, both the appeals, should be decided together. Guardians & Wards Act, 1890 – Divorce and custody battles can become quagmire and it is heart wrenching to see that the innocent child is the ultimate sufferer who gets caught up in the legal and psychological battle between the parents. Custody of Minor Child – Foreign Courts – Return the child to the foreign jurisdiction - The doctrines of comity of courts, intimate connect, orders passed by foreign courts having jurisdiction in the matter regarding custody of the minor child, citizenship of the parents and the child etc., cannot override the consideration of the best interest and the welfare of the child and that the direction to return the child to the foreign jurisdiction must not result in any physical, mental, psychological, or other harm to the child. Guardians & Wards Act, 1890 – Parents are not only caretakers, but they are instrumental in the development of their child’s social, emotional, cognitive and physical well­being and work harmoniously to give their children a happy home to which they are justly entitled to. The Penal Code, 1860 - Sections 307 / 34 and 326 - The Code of Criminal Procedure, 1973 - Section 357 and Section 357­A - Acid Attack - Compensation - the victim had suffered an uncivilised and heartless crime committed by the respondents and there is no room for leniency which can be conceived. A crime of this nature does not deserve any kind of clemency. This Court cannot be oblivious of the situation that the victim must have suffered an emotional distress which cannot be compensated either by sentencing the accused or by grant of any compensation. The Appellants having voluntarily exercised the option to get absorbed in the regular service of VSNL, were deemed to have retired from the service of the Central Government on the date of their absorption i.e. January 2, 1990 as per Rule 37(1) of the CCS (Pension) Rules, 1972. The Central Civil Services (Pension) Rules, 1972 - Rule 3(q) - To receive pensionary benefits from the Government, a Government servant is required to put in a minimum ‘qualifying service’. The Central Civil Services (Pension) Rules, 1972 - Rule 3(q) - ‘Qualifying Service’ means the service rendered while on duty or otherwise which shall be taken into account for the purpose of Pensions and Gratuities admissible under Rules. The Central Civil Services (Pension) Rules, 1972 - Rule 49 (1) and (2) - a Government servant is entitled to receive pension on retirement only after the completion of the qualifying service of 10 years. On the other hand, a Government servant who retires before completing the qualifying service of 10 years is entitled to service gratuity. The Central Civil Services (Pension) Rules, 1972 - Rule 49 - Amount of Pension. A conjoint reading of the statutory rules, i.e. Rule 37 with Rule 49 of the CCS (Pension) Rules, 1972, would make it abundantly clear that the Appellants were not entitled to pensionary benefits since admittedly they did not have the minimum qualifying service of 10 years, to make their service pensionable with the Central Government. On absorption in VSNL on January 2, 1990 there was a severance of their service with the Central Government. The Appellants would be entitled to the retiral benefits under VSNL. After exercising the option to be absorbed in VSNL, the Appellants are now estopped from seeking pensionary benefits from the Central Government. The Appellants were not entitled to receive pensionary benefits either under the CCS (Pension) Rules, 1972 or under Clauses (a) and (b) of the Office Memorandum. The case of the Appellants being Government servants prior to their absorption in VSNL, with less than 10 years of qualifying service, would be squarely covered by Clause (c) of the Office Memorandum. Under Clause (c), they would be entitled to receive an amount equal to the Provident Fund contribution for the period of their service under the Government, upto the date of their permanent absorption along with Simple Interest at 6% per annum as the opening balance in their CPF account with the Public Sector Undertaking/Autonomous Body. In view of the aforesaid findings, the present Civil Appeal is dismissed. The Payment of Gratuity Act, 1972 - Section 4(1)(b) - Gratuity would be payable to an employee even on his resignation. Thus, any rule barring payment of gratuity to an employee who resigns, would be contrary to Section 14 read with Section 4(1)(b) of the 1972 Act. The Payment of Gratuity Act, 1972 - Sections 1 (3) and 14 - The Department of Posts, Gramin Dak Sewak (Conduct & Engagement) Rules, 2011 - Rule 3­A, 6 (1) and (13) - The Department of Posts, Gramin Dak Sewak (Conduct and Engagement) Rules, 2011 - Terms and Conditions of Engagement - Payment of ex­gratia gratuity - No gratuity to ED Agent who quits the agency on his own - Act to override other enactments, etc. Whether a Gramin Dak Sewak is an ‘employee’ as per Section 2(e) of the 1972 Act, and is entitled to payment of Gratuity under this Act ? Section 2(e) of the 1972 Act, however specifically excludes persons who are governed by any Act, or Rules providing for payment of Gratuity. Section 2(e) of the 1972 Act excludes persons who hold a post with the Central or State Government and are governed by any other Act or rules providing for payment of gratuity. Gramin Dak Sewaks are engaged as Extra Departmental Agents, a post governed by the 2011 Rules. These Rules have a separate provision for payment of Gratuity to the Extra Departmental Agents. A Gramin Dak Sewak is not an “employee” under the 1972 Act. Whether a Gramin Dak Sewak is eligible for payment of Gratuity under the 2011 Rules upon voluntary resignation ? The Order was passed under Rule 6(13) permitting Respondent No. 1 to quit the services of the Gramin Dak Sewak as per his voluntary resignation. As a consequence of his resignation, Respondent No. 1 became disentitled from the payment of Gratuity under the statutory 2011 Rules applicable to Gramin Dak Sewaks. A reading of Rule 3­A(iii) of the 2011 Rules, makes it abundantly clear that a Gramin Dak Sewaks must have an independent means of livelihood. The Gramin Dak Sewaks are engaged on a part­time basis for a maximum of 3 to 5 hours a day. Rule 3­A(v) and (vi) stipulate that a Gramin Dak Sewak shall be outside the Civil Service of the Union, and shall not claim to be at par with the servants of the Government. The Department of Posts, Gramin Dak Sewak (Conduct and Engagement) Rules, 2011 - Under the amended 2011 Rules the term “employment/appointment” has been replaced by “engagement”. The amended Rule 6 pertains to payment of ex gratia Gratuity to Gramin Dak Sewaks. Education Law - Whether the appellant institution had applied to the respondent no. 1, Madhya Pradesh Nurses Registration Council within the last date, which was 22nd December, 2018 or not, and if so applied, whether the same was complete in all respects. The respondent no. 1 has categorically stated that the online application form submitted by the appellant was incomplete and no supporting documents were attached with the same. The appellant has not filed any proof to show that it had given all required particulars in the online application form. In the absence of the copy of the writ petition having been filed before this Court, it cannot be ascertained as to whether there was any such averment made even in the writ petition. It has also not been stated by the appellant institution that the requisite documents were filed along with the application form (which is categorically stated by the respondent no. 1 to be incomplete). The very fact that the certificate of affiliation was issued in favour of the appellant institution by the Madhya Pradesh Medical Science University, Jabalpur, on 02.02.2019, which was much after the last date for submission of the online application form, would make it clear that the said document of affiliation was not even available with the appellant institution at the time of filing of the online application form.